Christmas dinner and quiz at The Shoulder of Mutton, and New Year's Day at the Phoenix and Poacher. By Steve Foster. All photos are by Steve Foster, taken with his phone-cam. December was an eventful month! Firstly there was getting all the deposits for the Xmas dinner together and visiting The Shoulder of Mutton to pay them in. Then the evening itself, it seemed to go well enough. The food was good, as was the company. I got some complaints that the quiz was too hard! Sorry guys, I could not predict the somewhat limited general knowledge of the average Hants (North) & Berkshire L7C meeting goer :-). 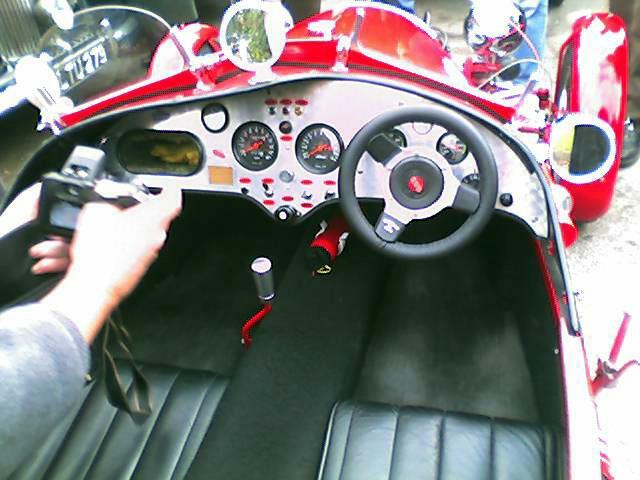 It was a much broader scope than the usual car & Seven-related anorak quiz we normally have. Spread over 5 topics, Christmas theme, Winter theme, Car theme, Sweden theme and extra bonus questions. This was on special request from the wives who attend. I think this was a good idea as it's the one event / meeting of the year when there’s a good turnout of ladies and most are not as into the details of the Seven and motor sport history as some of the chaps. Keep the ladies happy, rather like The Freemasons who have regular ladies evenings (so say). I borrowed Kev's and Eric's NtL bonus questions idea and this pulled in £60 for NtL. James has already volunteered to do the quiz for 2005 Xmas! 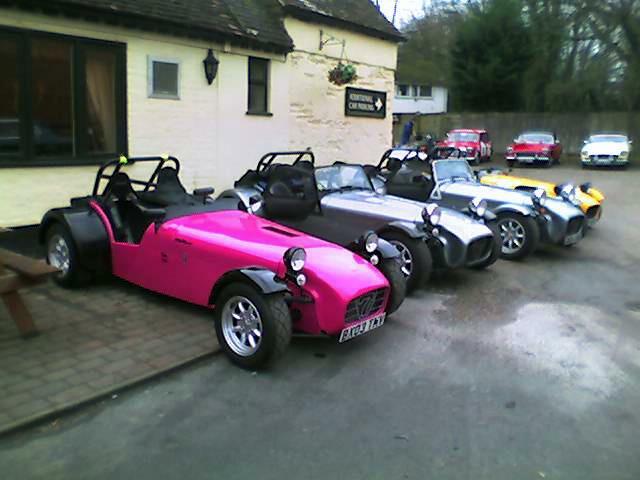 Then there was the regular meeting at The Poacher on the last Thursday that was pretty well attended. 4 Sevens in the car park. Some members went to The Phoenix that has now apparently re-opened. I would very much like to move the meeting back to The Phoenix if only the facilities improved. We’ll see. 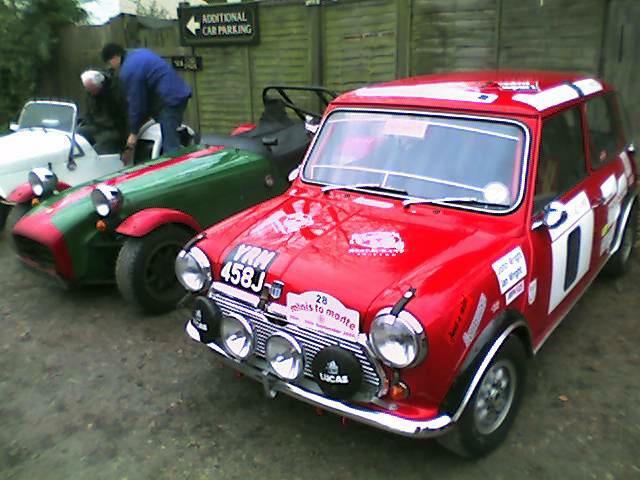 I must mention the New Year's Day regular vintage, classic and modern specialist car meeting. Not quite in December though. This year the meeting was split, both at The Phoenix and The Poacher. We had agreed on BlatChat to meet at The Phoenix at around 10am see what was what and then blat off to The Poacher after a while. The attendance was very good with 13 Sevens in all. It was nice to see the 3 up from the far south (Gosport area) and Andy H from Winchester. 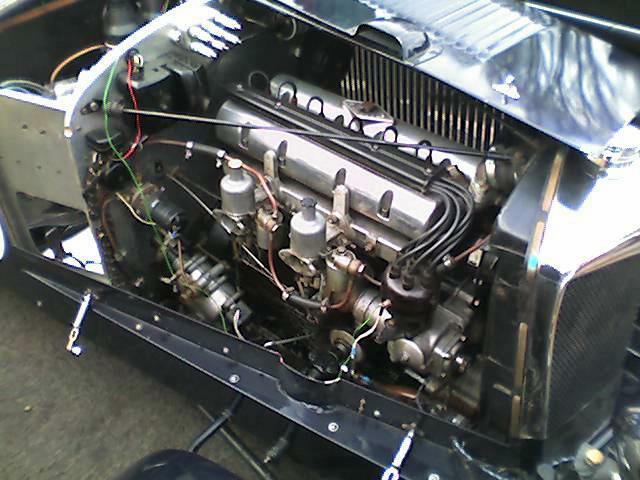 At The Phoenix there was a broad cross section of cars from the very early, to specialist, to sports classic to sports modern. I would guess that at that time our club had the best single make representation with perhaps MG coming second. 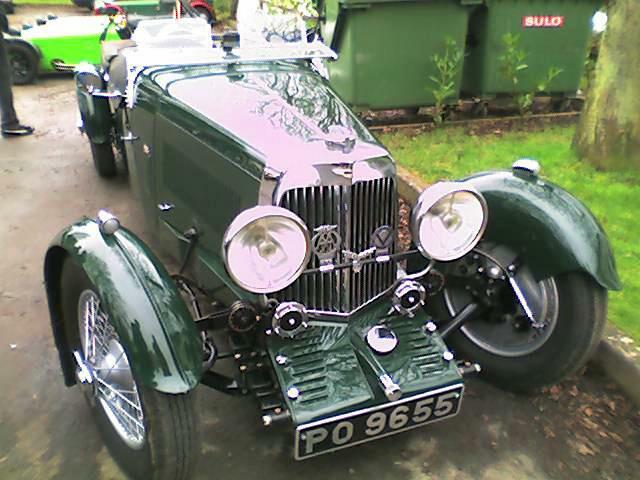 Of note was an Aston, a Riley, a Utility vehicle and all the Sevens. After a while we blatted over to The Poacher where there were fewer cars. 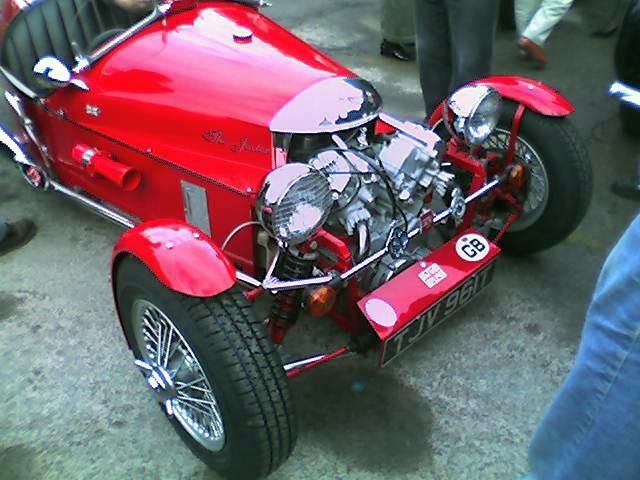 Of note here was a V8 side-valve Ford, a Talbot Lotus and all the Sevens :-) It then started to rain a bit and I clean forgot that some were blatting over to Brent’s to view the SV Duratec build. Dooh! Another time may be. The Torque wrench and 42mm socket is ready when you are Brent! Blatchat reports that some blatted back to The Phoenix and there were even more cars on show in the afternoon. So what of area members then? I have tidied up the Seven after the cage removal. I decided to go back to the FIA bar as it’s nicer for passengering folk with. I had a small car nut gathering between Xmas and New Year at my place. The idea was for some Car DVD watching and guests were put to a light hearted competition between 3 teams with timed GPL driving at Cadwell, Scalextric racing and an identify some parts / model car quiz. Team WaterMills won. We watched the Le Mans DVD, Clarkson’s Hot metal, a bit of Mike Hawthorn's race life (was boring) and to end it all the Club 2004 DVD. Phil has been working away on a throttle body and ported head conversion. That should part his hair even quicker on the first serious blat! Nigel came down to the car nut meeting at my place. He would have come in the Seven but too many small faults and unfinished items prevented this. Den reminded me that he had a tow bar on his Passat. Jason still has starting problems. Mrs Chiswick came 2nd winning a bottle of red wine and Eric M 3rd winning the Pokky Japanese chocolate sticks (really very nice). Roll on the next meeting at The Shoulder of Mutton. This page is http://www.strangely.org/7club/meetings/200412/index.html. It was first published on Thursday 24 February, 2005 and last updated on Thursday 24 February, 2005.